← I watched Seventh Son so you don’t have to! I arrived at Russell Square Station before the talk, very aware that the film I was on my way to see was set in a tube station. 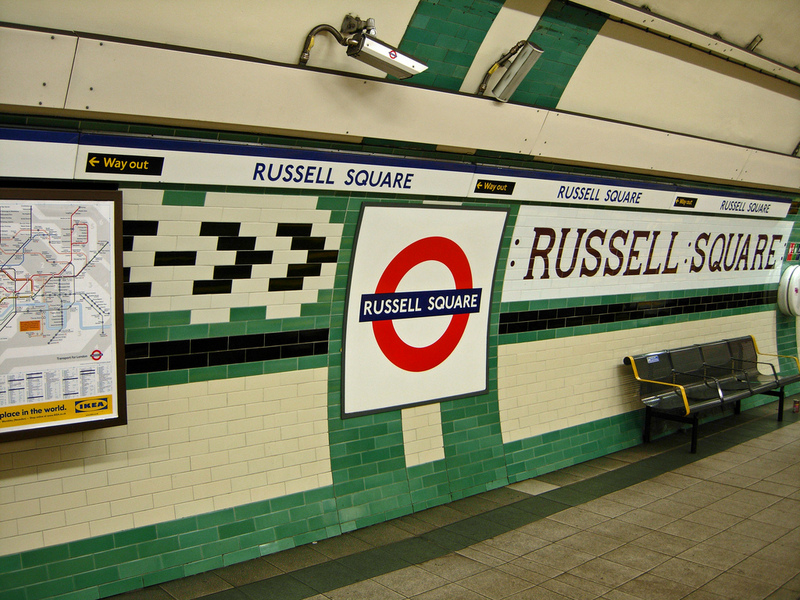 I didn’t realise it was set at Russell Square Station. As I wound my way round the many twists and turns of the underground I saw the lifts and a sign for the stairs. I always take the stairs, so I started climbing. 600 steps later I had no choice but to turn around and walk, wobbly legged, back down to the bottom to get the lift, assuming I knew where I was going, I turned a corner, then another and found myself back on the tube platform. I was lost. Typical. At least it wasn’t at night. 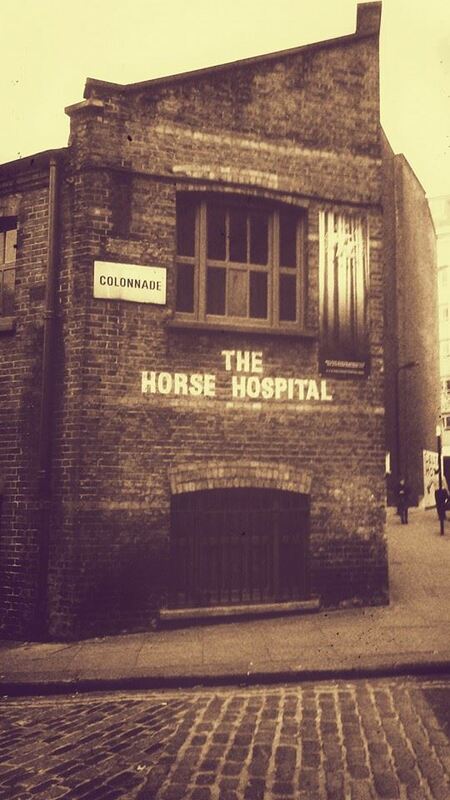 The Horse Hospital is the venue for the Miskatonic and it’s a perfect venue for horror, atmospheric. Dark and intimate with cobblestone floors and a large red velvet curtain acts as a door to the screening room. The walls are adorned with artwork by Melinda Gebbie, who I must admit, at the time the name didn’t ring any bells but I told my husband who I had been chatting with, his face dropped, mouth open. As it turned out I had been talking to Lost Girls illustrator and wife of comic book legend Alan Moore. Mel is an incredibly talented artist and I was immediately taken with her work which covers a lot of different styles. Mel spent the evening sketching and we spoke about the film and her art. Death Line, known in America as Raw Meat, is a British horror from 1972, directed by an American, Gary Sherman. The film is the story of a couple who find an unconscious man on the steps on the underground after the last tube. They alert the authorities only to have the body disappear before they get back. After some investigation by the police the history of the tube station is revealed and cannibalism comes into play. The film could really do with being remastered as the sound is a little fuzzy and some shots are so dark you can barely make out what’s happening, that said I kinda like that about the film. Your mind will always conjure worse images than those you see on screen, what our own imaginations birth in the dark will terrify us more. Death Line is one of those old grindhouse style horror flicks that has the distinction of having a somewhat sympathetic villain and a fairly loathsome hero. The police investigation of the missing man is solid comedy gold. 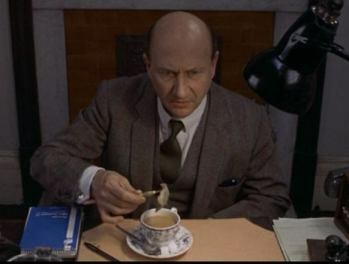 Donald Pleasance is on his game in this film, it’s surprisingly funny. It also has a cameo by Christopher Lee, he literally has one scene with Pleasance where I swear a stand in is used for Pleasance but that doesn’t make their interaction any less interesting. The film was voted one of “The Ten Most Important British Horror Films of the 20th Century” in 2000 and I think it’s earned that. It’s unlike a lot of horror at the time and it certainly pushed boundaries. It has an agenda that I feel is quite clear, it shows the class system in Britain, capitalism and more.The idea that people have been going missing on the underground for years but only when a man of note goes missing that any action is taken at all speaks volumes. Death Line was an excellent choice for the Miskatonic. 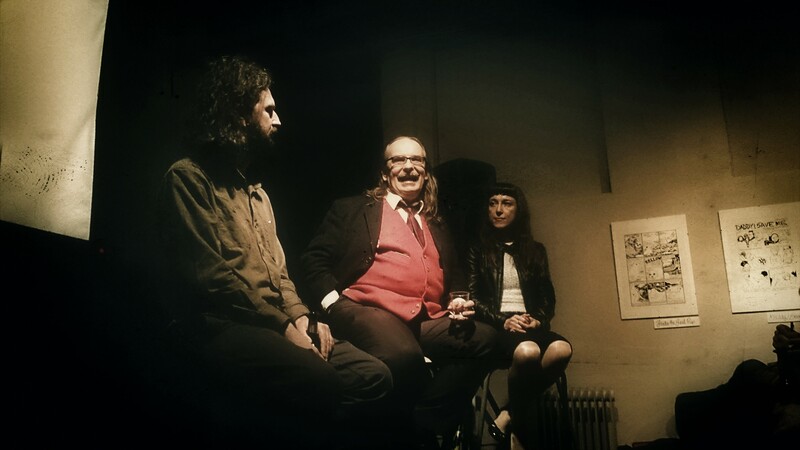 We were lucky enough to have film critic and author Kim Newman along to give a little talk and chat about the film and it’s influence..which, oddly seems to be none. The film is now seen as a cult classic but it rarely referred to when a horror director lists his or her influential films. It’s always a thrill to hear Kim talk about film and that night was no exception. A brilliant night all round, I can’t recommend The Miskatonic enough. The next event at the Miskatonic Institute of Horror Film Studies is Engulfed by Nature: Psychological and Supernatural Landscapes a lecture by Jasper Sharp and takes place on the 14th of May. A Shared Fact: Death Line is set at an uncompleted London Underground station called “Museum”, on a non-completed Underground line somewhere near the real Underground stations Russell Square and British Museum (the latter of which closed in 1933). No such line or station exists, but it is notable that this was partly filmed at Aldwych, which has become more famous as a film set since its closure in 1994 (and more profitable than during its life as a working tube station). 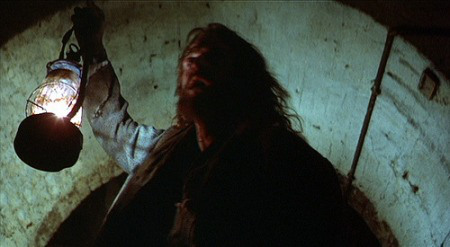 This entry was posted in events, review and tagged British Horror, Death Line, Donald Pleasance, film, horror, Kim Newman, Miskatonic Institute of Horror Film Studies, movies, Russell Square Tube Station. Bookmark the permalink.